The best decks are not built from the ground up. They’re engineered from the top down, and built from a solid foundation below ground all the way up to the guardrails, or even to the top of the pergola! 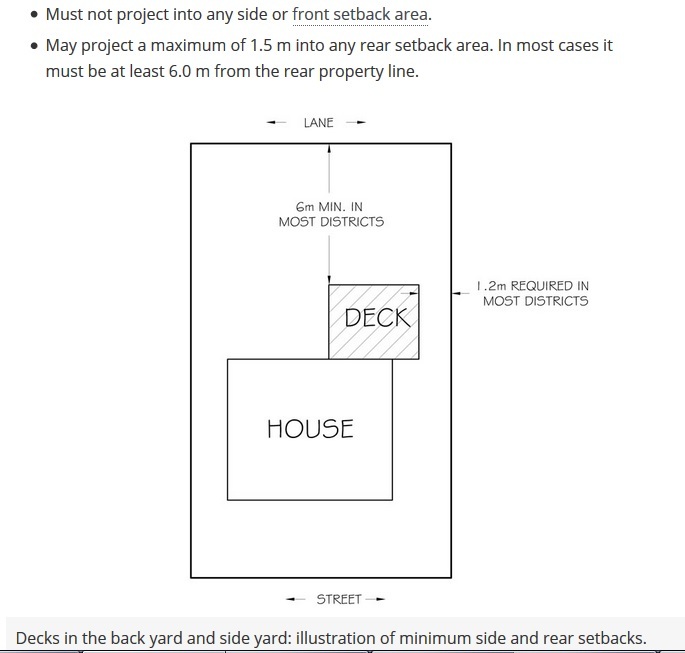 There are lots of local rules and regulations about decks. As Diamond Home Inspection operates mainly in Calgary (but also north to Airdrie and Olds, West to Cochrane and Canmore, South to Okotoks, and east to Chestermere and Strathmore) so the information in this and other blogs will be specific to this area. The City of Calgary has information about the requirements for decks and permits on its website, as does Airdrie, Okotoks, and most other municipalities. 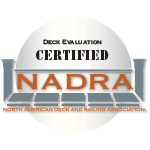 As a NADRA Certified Deck Inspector, I have the training and certification from the North American Deck and Railing Association to back up experience from years of inspections. One obvious thing I look for is the city issued permit. There are rules for set-backs from rear, front and side property lines, guard rail requirements & heights, maximum deck heights, covered vs. uncovered decks, the need for privacy walls in some cases, the locations of gazebos/pergolas, and for stairs and handrails, amongst other things. So get out there and plan a great deck; make it look good, be creative. Then figure out how to hold it up, hold it together, hold it down, and keep it there for a long time. There are of course rules for how its built. 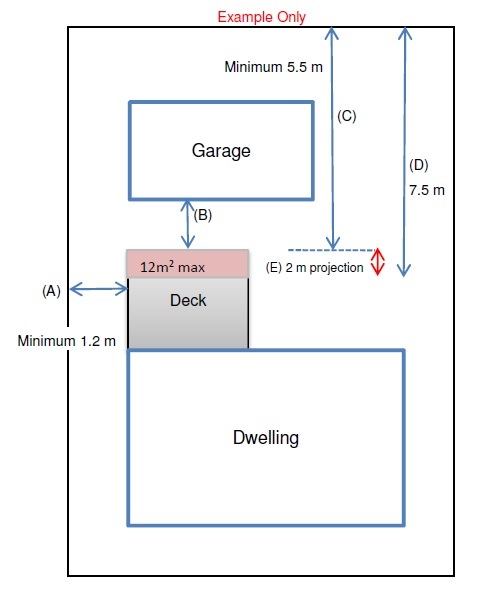 If you are planning a small, uncovered deck, that doesn’t cross any setback lines and is less than 0.6m (2.0 feet) above grade, you might not need a permit, but do your own research!